Huanuco Marka, also known as Huanuco Viejo or Huanuco Pampa, is located 220km South of Huaraz at 3900m in the Province of Dos de Mayo in the department of Huanuco. 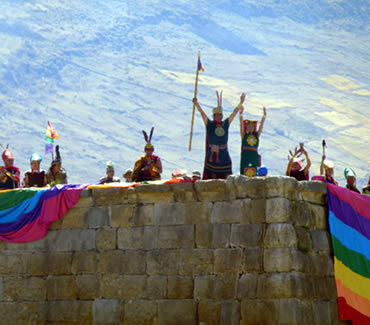 The ruins of this Inca city show us the amazing Inca’s power and organization in this part of its empire. It measures 2.5 Km2, and is particularly interesting because it was still under construction when it was abandoned (at the time of the Spanish conquest). 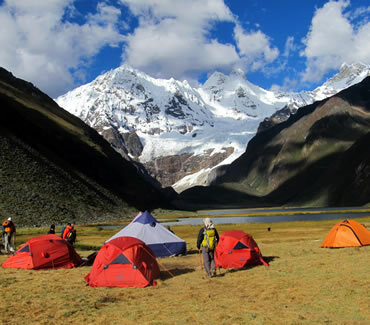 This tour is special because it combines Culture and Adventure, and also has the advantage that it can be completed in just one week, yet still visits the most important places in the Cordillera Huayhuash such as the lakes: Carhuacocha, Mitucocha, Jahuacocha, and passes almost all the major mountains of Huayhuash mountain range. • Depending on time, rest days are possible at Carhuacocha and /or Jahuacocha, where you can walk around the lakes and go fishing.